Italian Motorcycle specialists, UK's leading dealer for Moto Morini. New and used motorcycles in stock. Import and Export of bikes and spares. Workshop fully equipped to weld, fabricate, service & MOT. 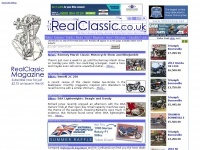 The websites creator or author is North Leicester Motorcycles. 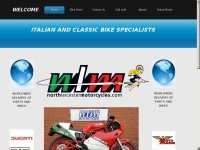 Bike-exchange.co.uk - Cheap used mo­torcycles for sale UK Motor­bi­kes ..
Bradfordmotorcycles.co.uk - Used Bi­kes Bradford, Used Bike Dea­ler in West ..
Anderson-wall.co.uk - So­mer­sets new and used scoo­ter and motor­bi­ke dea­ler in ..